Do you like Wormate.io? Share it with your friends. 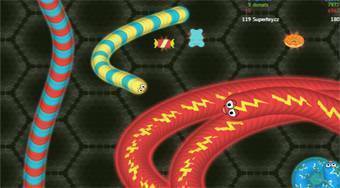 Wormate.io - another excellent addition to the family of famous .io multiplayer games that were inspired by the legendary mobile game The Snake.